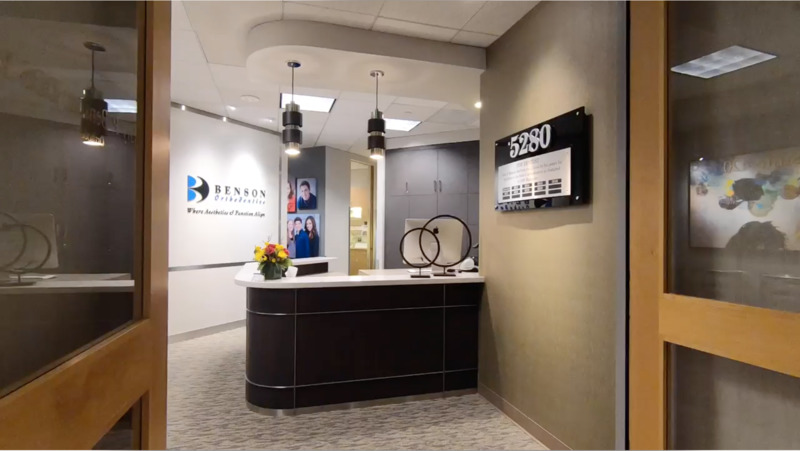 Benson Orthodontics — offering more than just straight teeth. Where aesthetics and function align. Benson Orthodontics provides dental solutions that improve people’s lives. Dr. Benson develops personalized and customized treatment plans that focus on three specific outcomes: improved function, appearance and health of the teeth, jaws, joints and facial structure. Orthodontic treatment can enhance self-image, self-confidence, functioning of the teeth and jaws and overall oral health. The best results come from coordinated treatment delivery after careful planning and setting of goals. We work with both adults and children in a one-on-one setting to make their orthodontic experience efficient and truly rewarding. Each patient receives the best we have to offer. In-depth case analysis that includes a plan for life after braces. Communication and treatment plan integration with other dental professionals. Personal doctor/patient contact at every visit. Attention to treatment details that leads to better results and shorter treatment times. Emphasis on both aesthetics and function of teeth and jaws. Emphasis on appropriate treatment timing and overall length of treatment which helps contain costs. Appointment confirmation via text, email or phone. 24 access to your account information. One location in central Denver, CO. We are here when you need us. Numerous payment options, including insurance submission for your convenience. Numerous Dentists refer patients, friends and their family to Dr. Benson. Voted 5280 Top Orthodontist in Denver for 2004-2019 by his peers. Call us today so we can start planning solutions to your dental problems that will last for a lifetime.